Click the headline of the story to check out all of the pics. 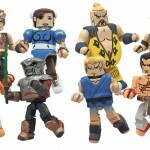 Diamond Select Toys has sent along images and info for their upcoming Street Fighter X Tekken Minimates Round 2 Figures. You can check out the in and out of package photos by clicking the headline of the story. 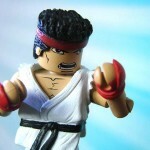 Diamond Select Toys has sent along an announcement for their upcoming Street Fighter X Tekken Minimates Round 2. 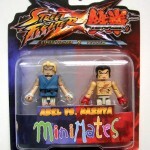 These Minimates will hit in January 2013. There will be two assortments. One for Toys “R” Us and one for comic and specialty shops. DST sent along a correction. The assortments were reversed. Please see the official updated assortments below. Check out some photos by clicking the headline of the sotry.